From a very young age, Miranda Andersen was drawn to nature and the environment around her community of Port Moody, British Columbia. Living near the Pacific Ocean and being surrounded by the untamed beauty of the area, it was quite instinctive that a love of the natural world would grow and develop as she did. 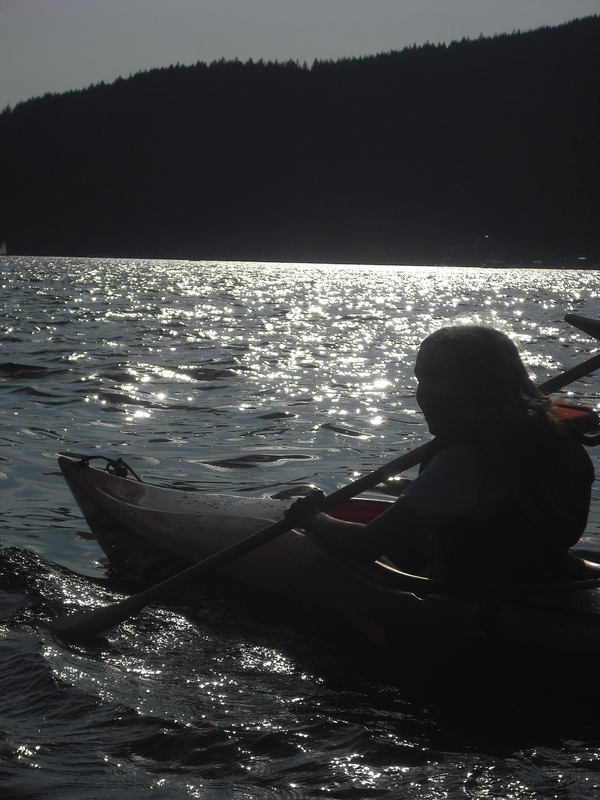 At the age of 8, she began to volunteer at the Mossom Creek Salmon Hatchery, not far from her home. There she met Ruth Foster, one of the founders of the Hatchery. During her time with Ruth, Miranda learned the importance of preserving and protecting nature and the living things that call it home. Along with the other volunteers at the Hatchery, she helped to rear and release salmon in an effort to safeguard salmon habitats. At the same time, Miranda’s grade 4 teacher, Ms. Whiffin, asked each of her students to write about their hero, preferably someone they could make contact with. Miranda immediately thought of Ruth, someone she admired and bonded with over their love of protecting “all things environmental”. The writing assignment led to a new and exciting form of telling stories – filmmaking! Under the technical guidance of her teacher, Miranda was able to tell her hero story using Mac’s iMovie filmmaker. Ms. Whiffin and Miranda were quite proud of the finished product, and her teacher submitted the film, Ruth Foster, to a MyHero film festival. Not only did the film become a finalist in the competition, but it went on to win in its division! Miranda discovered her passion for raising awareness and giving a voice to environmental causes through filmmaking. She dedicated time and effort to researching, photographing and filming for new films. One such film involved travelling to the island of Hawaii to meet an amazing marine biologist who worked out of the Smithsonian Institute and the University of Hawaii conducting research on the world’s coral. Dr. Mary Hagedorn’s work was highlighted in Miranda’s film, Help Mary Save the Coral, named after Dr. Hagedorn’s website. From this experience, Miranda learned of the significant role that coral play in the life of the world’s oceans and subsequently, the life of the planet. She thought it necessary to create two more films on Dr. Hagedorn’s work to enter into other film contests. Due to the success of these films, which included One Woman One Hero and The ABCs of Coral, Miranda’s confidence and passion grew, and she was well on her way to gaining a reputation as an exceptionally talented young environmental filmmaker! Miranda continued to learn of and meet other amazing individuals who were doing great work to raise awareness and change people’s habits. Their stories inspired Miranda and prompted new film ideas. Having discovered that an overwhelming amount of waste discarded by human beings involved that of plastics and electronics, Miranda gathered information and film footage to create several school speeches and more documentaries. Her E-Waste and The Great Pacific Garbage Patch speeches earned her awards and recognitions, as well as set the stage for a film on the topic of plastics. Forever Plastic recently won first place in another MyHero film festival contest. Miranda reached out beyond her films and speeches in holding a highly successful electronic waste collection in her community during Earth Day celebrations in April of 2010. She was close to 11 years old then. Her film, Blue Trees, came about when she met a man painting trees blue to raise awareness about global deforestation. In this documentary, she gives a voice to trees and the forests of the world in an effort to educate others on the dangers of cutting down that which produces the air we breathe. From this, and other Miranda Andersen films, we are truly educated about the value of protecting the world’s oceans and forests in an effort to preserve and protect the world’s delicate balance between nature and its living things. Thanks to Sheneeza Kanji for writing my profile! 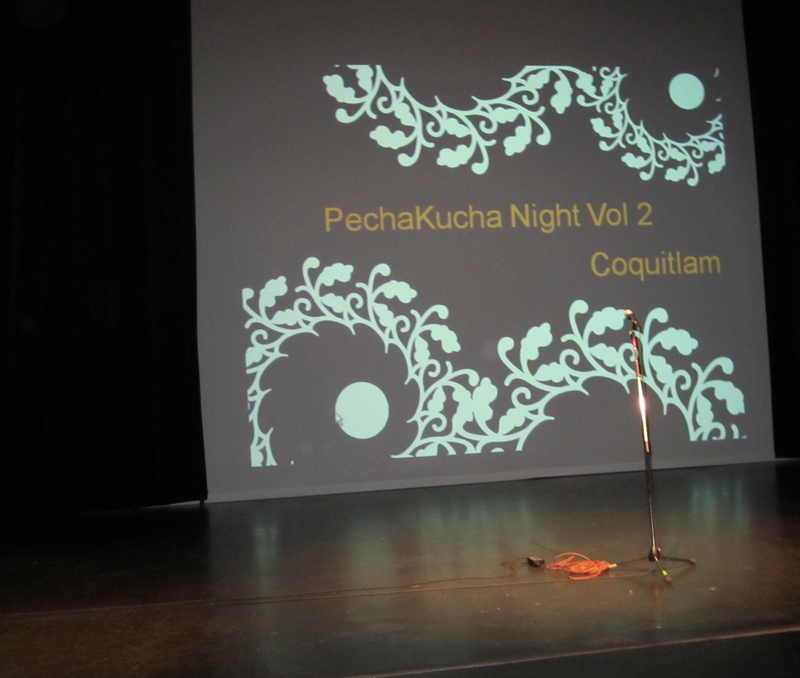 In February 2011 I was asked to be a presenter at Pecha Kucha. What is Pecha Kucha you ask? Well, it’s an international forum for artists to share their work and their inspiration. It is a Japanese word for the sound of “chit chat”. Presenters are asked to provide 20 slides, each slide is shown for 20 seconds, while narrating for the audience. If you’d like to take a look at Volume 2 in Coquitlam, just check out this link.